X6 LAND ROVER DISCOVERY 4 / RANGE ROVER SPORT 3.0 TDV6 SDV6 DIESEL INJECTORS IN GOOD WORKING ORDER. WITH OVER 6,000 SQ FT OF SHELVED PARTS, CLEANED AND READY TO DISPATCH WE ARE SURE TO HAVE THE PART THAT YOU ARE LOOKING FOR. 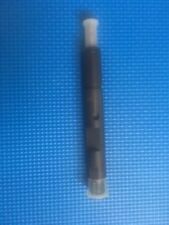 Here i have 3 used black top lucas injectors priced to sell at £22.50 each plus £2.95 postage as seen in the photos I only post to UK. This listing is for a genuine Land Rover used part This Injector is from a 2009 Discovery 3 2.7 Tdv6 Please match current part number of 7H2Q-9K546-CB as shown in the picture. Land Rover Freelander 1 TD4 AUTO 7789573 0445110130 4 fuel injectors collars. Set of 4 injectors, for early Freelanders 2.0 Di 1997-2000 -. Price for 4 injectors. Whenever possible, we provide the part number. LAND ROVER DEFENDER AND DISCOVERY 300 TDI INJECTOR PUMP FOR ENGINES WITH EGR FITTED. Fully remanufactured, Bosch injector pump 0460-414-099. New listingLand Rover Diesel Injectors. Condition is Used. A s et of 4 very earlyLand Rover Dieselinjectors as used in the 1 95 0’ s.
LAND ROVER DISCOVERY 2 TD5 / DEFENDER TD5 GREEN TOP FUEL INJECTORS 15P. Removed from 118k 53 plate discovery 2 Priced individually Condition is Used but fully working. Dispatched with Royal Mail 1st Class. JAGUAR LAND ROVER USED CARS AND PARTS. Removed from a 2006 Range Rover Sport. Part Numbers: 0280155885. Make: LAND ROVER Model: FREELANDER. Year Range: 1998-2006 Colour WARRANTY: All used parts are fully tested and working before removal from the donor vehicle. 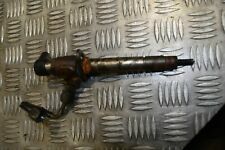 LAND ROVER FREELANDER MK1 2.0 TD4 97-06 FUEL INJECTOR 0445110049 / 7785983, AS PICTURED. LAND ROVER FREELANDER MK1 5 DOOR TD4 SPORT. 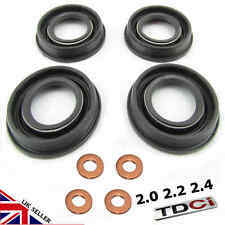 THIS PART MAY BE COMPATIBLE WITH Land Rover FREELANDER TD4 2.0 DIESEL 1997-2006 PRE-FACE LIFT MODELS. 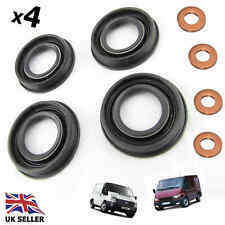 Land Rover Discovery Td5 Injector Seal Kit. Suitable for all Td5 models. FREE CARRIAGE APPLIES TO MAINLAND UK ONLY. This kit contains 5 copper washer and 5 rubber O rings. Pictures are for reference only and specifications may alter without notice. 1X ERR 3338 WITH LEAD. LAND ROVER 300 TDI AUTOMATIC INJECTOR. This listing is for a genuine Land Rover used part This Injector Set is from a 1998 Discovery 1 300TDI. GLASS AND BODY PANELS. Make sure that you are buying the correct item, it is your responsibility to make sure the part you are buying will fit your car. WILL DO OUR BEST TO SOLVE THE ISSUE. RANGE ROVER / LAND ROVER 2.7 TD. 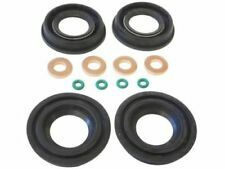 FITS MOST RANGE ROVER 2.7 TD APPLICATIONS. PART NUMBER. WE WILL SEND YOU. TO FIT: DISCOVERY 3 2.7 TDV6 MODELS FROM 2007 - 2009. ONLY SUITABLE FOR 2.7 TDV6 DIESEL MODELS FROM 2007 - 2009 . THIS INJECTOR WILL NEED CODING TO ACHIEVE OPTIMUM PERFORMANCE. GENUINE LAND ROVER PART. 12 MONTHS WARRANTY, SAME DAY DISPATCH ! FAST DELIVERY ! DIESEL INJECTOR NOZZLE. LAND ROVER SERIES 2a & 3. We are happy to help you. Parts colour may very due to manufacture production. PICTURES AND PART NUMBERS ARE FOR REFERENCE ONLY AND DO NOT IMPLY THE MANUFACTURER. 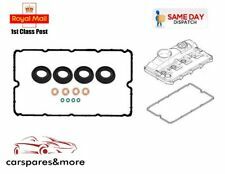 0445110049 Part Number. LAND ROVER FREELANDER 01 - 06 2.0 TD4 BOSCH DIESEL FUEL INJECTOR. 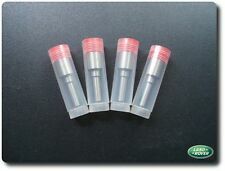 Price is for 1x injectorLAND ROVER FREELANDER TD4. if the part doesent work, ill be more than happy to resolve any issues. priour removing the parts are tested. Make sure the part number matches yours before ordering! To Fit : Range Rover Classic Land Rover Defender Discovery TVR Triumph with 3.5 V8 EFi engine. Part Number : -. Injector part number 0445110130 (BOSCH) / 7789573 (BMW). Removed from Freelander TD4 automatic. You will receive injectors on pictures 2-5. Price is for 4 injectors. Whenever possible, we provide the part number.